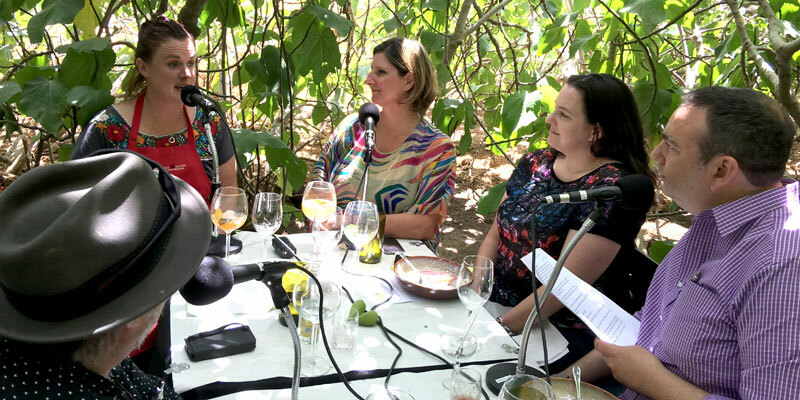 Thanks to an inspired suggestion by Kristina Dryza, one of Adelaide’s esteemed futurists, or ‘nowists’, The Adelaide Show Podcast is in Kangaroo Island this week in search of quality gin and gourmet dining. As a result, tonight it is all about indulgence in a measured and thoughtful way. Rachel Hannaford and Sasha Sachs from Hannaford and Sachs lead us into the mystical, midsummer night’s dream-like fig tree restaurant they run on Kangaroo Island, revealing stories of creativity and inspiration along the way, including the revelation that pork belly is 99% fat free! 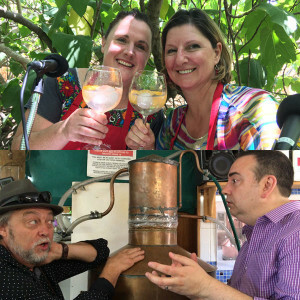 Meanwhile, Jon Lark and Sophie Sheridan from Kangaroo Island Spirits introduce Steve Davis and Nardia Symonds into the pages of gin lore with an historic gin called the Cat’s Whiskers, an aged gin which is the South Australian Drink Of The Week. Our SA Drink of the week is of course the glorious gin from KI Spriits. Music is Gin by Mary Webb. Our sponsor this week is California Syrup Of Figs. In IS IT NEWS, Nigel’s theme is a mystery, in a sealed envelope. We have an Adelaide Visa Council with two Kangaroo Island defendants. David Washington is on the sick list this week from In Daily. David Washington, editor of In Daily, is sick this week and so cannot give us a midweek wrap of the news we’ve been talking about in South Australia this week. The Cat’s Whiskers Aged Gin from Kangaroo Island Spirits. Tasting notes. This week: In The ‘SPIRIT Of Christmas’, getting ‘clear’ On Alcohol. 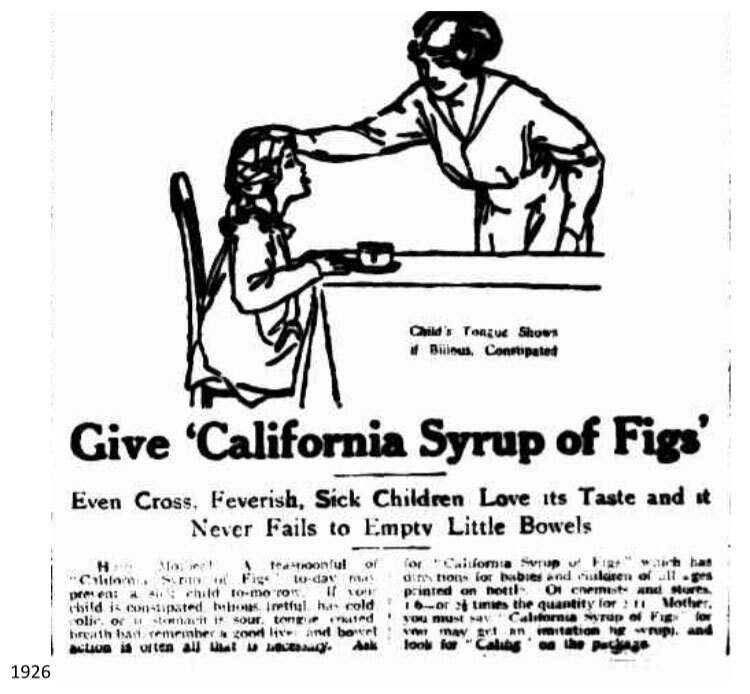 California Syrup Of Figs. See advert at bottom of page. More than 70 years ago, Rachel Hannaford’s grandparents built a shack in the sandhills at Snelling’s Beach on the secluded North Coast of Kangaroo Island. From this secret hideaway, a family of restaurateurs, chefs, party planners and entrepreneurs bloomed and today, Rachel has partnered with Sasha Sachs to bring the delights of Kangaroo Island produce to the people through Hannaford and Sachs – a catering company offering gorgeous dining settings on KI. Sasha not only more than 30 years’ experience in the hospitality industry, she brings insights from her work in London, Jamaica, Budapest and other cities of Europe. The news history quiz with Nigel Dobson-Keeffe doing research and Nardia Symonds reading them out. And our song this week, Gin by Mary Webb, recommended by our previous musical curator, Brett Monten and played in episode 45. Our current musical curator is on leave: Adrian Miller, from Radio Adelaide’s Monday night program, Songcatcher.